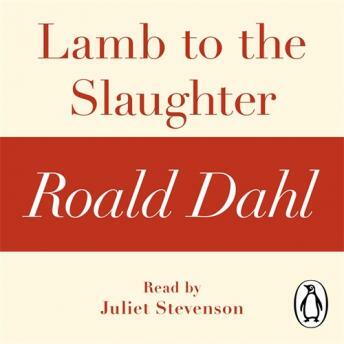 Penguin presents the audiobook edition of Lamb to the Slaughter by Roald Dahl, read by Juliet Stevenson. In Lamb to the Slaughter, Roald Dahl tells a twisted story about the darker side of human nature. Here, a wife serves up a dish that utterly baffles the police . . . Excellent narration. Roald Dahl is always a ‘hit’ with teens.